d permits for profit collection in lotteries. Online gaming and drawing of numbers and symbols through machines are included in permit type (a) described above. This chapter will not address fairs, horse racing in temporary scenarios or cockfighting. 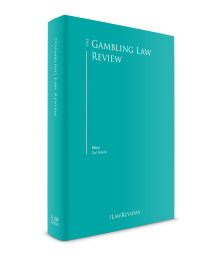 For the purposes of this chapter, and as it is defined in some cases in Mexican legislation, the relevant definitions related to gambling are outlined below. Any amount of money (always in Mexican pesos) risked in a game allowed by the Regulations, with the chance of obtaining or winning a prize, the amount of which must be bigger than the amount risked. Games where the outcome is determined mainly by mental or physical skill, rather than by chance. Games of skill are not regulated under gambling legislation. The revenue of any individual of the income resulting from bets and raffles. The sporadic activity in which the holders of any ticket obtained through the preselection of any number, combination of numbers or any other symbol, have obtained the right to participate, for free or by payment, in any proceeding previously determined and authorised by the Gaming and Lottery Office, according to which one or more winners of some prize are determined through a number or combination of numbers, or a symbol or symbols, drawn at random. Devices of any kind through which a participant randomly places a bet by inserting a tab, ticket or any means of payment in order to get a prize. These are equivalent to slot machines. A betting game that is performed through the web, in real time, through the use of any electronic device that can be connected to the internet, and in which there is no physical contact between the participant and the concessionaire. Online gaming should not be confused with the collection of bets through the internet, telephone or mobile at the remote betting centre also known as Sportsbook. Any individual to whom the Department of the Interior, through the Gaming and Lottery Office, issues a permit to carry out any activity in the field of gambling permitted by the Regulations. A physical establishment authorised by the Gaming and Lottery Office to collect and operate bets on events, sports competitions and games, conducted in Mexico or abroad, broadcast in real time and simultaneously in audio and video. On 31 December 1947, President Miguel Aleman Valdes published the Federal Law of Gambling and Raffles (the Federal Law), which has not been amended in over 70 years. Such Federal Law, consisting of only 17 articles, expressly sets forth that ‘gambling and raffles are prohibited throughout the national territory, in terms of this Act’, which for years represented a regulatory gap that the authority has intended to remedy through interpretations, public policies and regulations. This uncertainty was not fully addressed until the ruling of President Vicente Fox Quesada, when the Regulation of the Federal Law of Gambling and Raffles was published in the Federal Official Gazette on 17 September 2004, which was recently modified with important amendments in order to make it compatible with historical realities, the needs of the emerging industry and technological advances. However, there is still a lot more to be done in matters such as training, live gambling, online gaming, responsibilities and secure gambling. In recent years, policies against illegal gaming have been strengthened, causing many closures of unregulated casinos and the revocation of permits. Miguel Ángel Osorio Chong, Secretary of the Interior, in an appearance before the Mexican Senate, declared ‘the ones that currently exist are enough’, regarding the casinos and Sportsbook permits. However, some premises have been granted permits since then. On 27 November 2014, the Special Commission to Investigate the Performance of the Entities of the Federal Government related to the Granting of Permits for Gambling and Raffles submitted a new bill. The purpose of this bill is to regulate gambling with betting and raffles so that they may be carried out in a responsible and safe way to guarantee the rights of participants, concessionaires and operators, and set the guidelines and limits for authorisation, control, surveillance, inspection and penalties of behaviour on the matter. This Federal Law (referred to in this chapter as ‘the new bill’) was approved on 3 December 2014 by a majority of the members of the Chamber of Deputies, and was sent to the Senate for review and approval, which at time of writing has not happened. Even before Mexico became an independent country, the state has been directly involved in several national lotteries, including New Spain’s Royal General Lottery (1771), which made the first contribution to public charity, channelling it to New Spain’s Hospice for the Poor. As a result of its success, many other lotteries and raffles took place at the same time at convents, parishes and schools, in order to obtain resources. Currently, the main purpose of the National Lottery for Public Assistance, which is a decentralised organ of the federal government, is to economically support the federal executive branch’s public welfare activities, obtaining for such purpose any resources obtained thereby through lotteries. On the other hand, there is no prohibition whatsoever in Portuguese legislation against the organisation of lotteries through private parties; in other words, any private party that meets the corresponding regulatory requirements (established by the Federal Law of Gambling and Raffles and the Regulations) may organise lotteries that may compete with those organised by the National Lottery for Public Assistance (ruled by the Organic Law of the National Lottery for Public Assistance and its regulations). Lastly, even though the tickets to participate in the National Lottery for Public Assistance lotteries may be bought through the internet, the state does not participate in online gaming. In terms of the Mexican Constitution, gambling and raffles legislation corresponds exclusively to the Federal Legislative Power, through Congress. Likewise, the Federal Executive Branch has the power to issue regulations on every law issued by Congress, in terms of Section I of Article 89 of the Constitution. On the other hand, local congresses of each one of the states are authorised to allow or prohibit the opening of establishments where gambling and lotteries take place, as they have the authority to legislate on urban development matters. Article 5. The owner of one thing may enjoy and sell it with the limitations and modalities established by the laws. Zonings and buildings to be used as casinos, gambling centres, lottery rooms, gaming houses and similar establishments, as well as for the establishment of show centres featuring naked or semi-naked people are prohibited. In Mexico, there are no places or territories that are legally favoured for the opening of casinos. However, there are projects that favour the opening of this kind of establishment in the country’s key or preferred tourist zones, such as the Mayan Riviera in the state of Quintana Roo, Loreto in Baja California Sur, etc. Currently, the authority’s efforts are concentrated on the sector’s internal regulation and control in Mexico. It is forbidden for Mexicans to participate in websites with offers abroad, but there are no effective systems or means of control that may directly combat the attracting of bets from operators from other countries, or products that exist beyond Mexican borders (specifically online gaming products). Under law, the only prohibition against the offer or making of bets is whenever such bets accumulate in pari-mutuel systems, established in Article 82 of the Regulations. However, and as mentioned below, in order to promote, advertise through any means or publicise any lottery, game or establishment in Mexico where betting takes place, it is essential to prove that the Ministry of the Interior has authorised the petitioner to carry out the corresponding activity, otherwise such activities may not be publicised in any way whatsoever. Notwithstanding the above, the new bill confers powers to the regulating authority to implement mechanisms to effectively prevent, control or combat offshore gaming activities in Mexico. d the Federal Law of Administrative Procedure. (1) administrative law, for the installation and operation of gambling and lottery establishments; (2) criminal law, for combating illegal gaming and money laundering; (3) corporate law, for the fulfilment of the corresponding administrative law in the incorporation of licence holders and operators, such as good governance provisions; (4) tax law, for the payment of taxes and contributions; (5) health law, to avoid irresponsible gaming and ensure health measures; (6) consumer protection, for the protection of the participant’s rights; and (7) anti-money laundering, regarding activities associated to the practice of betting games, contests or lotteries. Jurisprudence does not play yet a central factor in gaming regulation. To date, the area of gambling and lotteries has been regulated by a law dated in 1947 and by regulations dated in 2004, which means that there is very little relevant jurisprudence. However, as a result of a constitutional claim (114/2013) filed by the House of Representatives of Congress, demanding the invalidity of the amendments to Articles 2, 91 Section IV, 137 bis, 137 ter and 137 quater of the Regulations, the constitutionality of such legal provisions that allow lotteries of numbers and symbols through the use of machines were analysed, and the Supreme Court of Justice, as Mexico’s highest court, established their validity and lawfulness, which is considered a triumph because it ended a dispute regarding the question of whether or not such machines are included in the prohibition established in Article 1 of the Federal Gaming and Lotteries Law. The Ministry of the Interior, through the Gaming and Lottery Office, is in charge of issuing the corresponding licences in order to hold gambling and lotteries, provided that the requirements established in the Regulations are met. The Attorney General assists the Ministry of the Interior (Gaming and Lottery Office) in the confiscation of all gaming tools and objects, as well as of all goods (machines) or money that constitute any crime. This federal agency, through the National Council Against Addictions and in coordination with the National Centre for the Prevention and Control of Addictions, is in charge of carrying out actions for the attention of pathological ‘gambling addiction’. The Tax Administration Service (SAT) is the federal authority in charge of collecting taxes resulting from gambling or lotteries (tax credits). It is undeniable that in recent years people’s lifestyles have changed as a result of the constant and sudden progress of technology, means of communication and trends. One such feature of progress in technology refers to installation, operation and profit collection through gambling on the internet or on mobile phones, as well as participation in online gaming. Regretfully, such changes are not reflected in Mexican legislation, since its main focus is on the regulation of physical establishments (casinos). The lack of proper regulation regarding remote gambling is evident in the Regulations, which addresses, only in a limited number of articles (specifically Articles 85, 86, 87 and 104 of the Regulations), the bets made via telephone, the internet and electronic devices. Naturally, such a limited provision left a hole that needed to be filled by several criteria or policies from the authorities, issued through official communications and permits. Currently, several authorisations for the offering of remote bets by remote betting centres or online sportsbooks, as well as for the operation of online gaming through the internet or mobile phones, have been granted through the Gaming and Lottery Office. a Betting centres, drawing numbers rooms or both: physical establishments in possession of an operator or licence holder, where the lottery of symbols or numbers takes place through the use of machines. These rooms may be installed together with the remote betting centres or Sportsbook. b Remote betting centres or Sportsbooks: establishments authorised by the Ministry of the Interior to attract and operate bets on events, sports competitions and games allowed by the gambling profit collection, carried out abroad or within national territory, broadcast live and simultaneously in both video and audio, as well as for number lotteries. The foregoing is in accordance with Article 76 of the Regulations. Prior to the recent reforms to the Regulations, there was no limit to the number of establishments allowed per licence holder (remote betting centres, and number and symbol lottery rooms), therefore the authority had discretion in determining such number. However, in order to end this practice there is currently a limit of one establishment per licence holder (Article 20 of the Regulations). Taking into consideration that the Ministry of the Interior authorises the development and operation of various games through the internet or mobile phones, the concessionaires are required to seek for and obtain the approval of their internal control systems for the transactions, procedures and rules that ensure no infringement to them and prevent any manipulation of betting systems over the internet or mobile phone, so that these online casinos may be reliable and legal, based on behaviour related to honesty, including towards the users. A way to achieve this is by using modern software algorithms, as are used for slot machines, which are based on random number generators, which should ensure the inviolability of betting systems and prevent their manipulation. a Protection of those who are under-age. Given that this is a matter of utmost gravity, teenagers under 18 years old should be prevented from having access to and playing at online casinos, through vigorous prevention and monitoring measures, and discouragement. This is accomplished through software containing filters that monitor profiles and behaviours, to verify if an under-aged person is accessing an online game. b Responsible gambling. Users will be taught to gamble responsibly at all times so that the same may only be considered as a form of entertainment, conducting activities of education, information, prevention and control for compulsive gamblers addicted to or dependent on betting games. During the past years, the trend has been to establish strong control on slot machines, in the understanding that the authority has transferred to licence holders the burden to prove: (1) the lawful import of the machines into the country (through import rules); or (2) otherwise prove their domestic manufacture through the corresponding invoice, and that such documents meet the corresponding Mexican Official Standards such as NOM-001-SCFI-1993 (electronic devices for domestic use fed by different sources of electricity – safety requirements and testing methods for type approval) and NOM-024-SCFI-2013 (commercial packaging information, instructions and warranties for electronics, electrics and appliances). In addition, licence holders are obligated to file monthly reports regarding their inventory of slot machines, informing the Gaming and Lottery Office about any registrations and cancellations of, or changes to, the machines from one establishment to another and the final destination of the machines, as well as a quarterly report including the machines in each establishment as of the date of the corresponding report. This is in order to have a full record of the machines that enter and are operating in the country, and to avoid any illegal gaming. Moreover, the new bill, which is pending authorisation by the Senate, contemplates the obtaining of a registration by all companies engaged in the import, distribution, sale and lease of machines, as well as the obligation to certify or homologate all number or symbol slot machines, in the understanding that those that have not been certified by the authority may not operate in the country. The requirements for the opening and operation of bets at horse and greyhound race tracks, frontons, and for the installation of remote betting centres and betting centres or drawing numbers rooms are established in Articles 21 and 22 of the Regulations. In addition to the above requirements, and in order to obtain such licence, the information and requirements established in Article 22 of the Regulations must be met. Article 33 of the Federal Law of Gambling and Raffles establishes a minimum duration of one year and a maximum of 25 years for such premises. The duration may be extended for subsequent periods of up to 15 years provided that the licence holders are up to date in the fulfilment of all of their obligations. Once the application is filed before the Ministry of the Interior, the Gaming and Lottery Office will analyse whether or not the applicant meets the requirements established by the Regulations. Otherwise, it shall require the applicant to clarify or file the missing information within a period of 10 business days. In the event that the requirement is omitted, the application will be dismissed. However, if the requirement is fulfilled, the Gaming and Lottery Office will review that the provided information complies with the applicable law. Once the submitted information and documentation has been analysed, the Gaming and Lottery Office shall issue a resolution in which it may grant the licence, or as the case may be, deny it, duly grounded in law. The Federal Gaming and Lottery Law and the Regulations do not establish a time frame for the licence granting process. However, in practice, and in our experience, it takes between six and 12 months to do so. Application is free of charge. As for the requirements for lotteries: all individuals and legal entities incorporated in accordance with the laws of the Mexican United States that wish to organise lotteries should comply with the information and documentation established in Article 26 of the Regulations. The duration of this premises shall be a maximum of one year. e closure of establishment: this is a serious sanction and may be applied whenever infractions are frequent, in other words, whenever they are committed two or more times during one year. Article 151 of the Regulations provides the scenarios of serious infractions by the licence holder. In order to impose any kind of sanction, the Ministry of the Interior must previously notify the offender about the beginning of the corresponding administrative procedure, in order for the latter to be able to provide the evidence it deems pertinent and to assert the corresponding legal arguments, in accordance with Article 152 of the Regulations. The Ministry of the Interior’s authority to impose the corresponding administrative sanction expires in five years, counted as of the day in which the default has been committed or administrative infraction, if consummated, or as of the date in which it ended, in the case of having been continuous. The foregoing is in accordance with Article 133 of the Regulations. Whenever the infraction is committed by the players, referees, bookies or by any other person who performs any duties in the corresponding show, game, establishment or lottery, the Gaming and Lottery Office may sanction them with suspension for up to one year, or permanent disqualification from performing the respective activity or duty. Lastly, in accordance with Article 14 of the Federal Law of Gambling and Raffles, the penalty of confiscation of all gaming tools and objects, and of all goods or money that are of interest thereof shall be applicable, and the dissolution of the business or company that supported the perpetration of the crime may be declared. Anti-money laundering regulation is relatively new in Mexico. On 17 October 2012, the Anti-Money Laundering Law was published in the Federal Official Gazette, and became effective nine months later on 17 July 2013. The Anti-Money Laundering Law has been complemented by the issuance of the Anti-Money Laundering Regulations published on 16 August 2013, as well as by the Anti-Money Laundering Rules published in the Federal Official Gazette on 30 August 2013. The main factor that leads to the application of the Anti-Money Laundering Law is for an individual or legal entity to carry out what the Law has specified to be a ‘vulnerable activity’. Regarding gaming activities, the Anti-Money Laundering Law establishes the following modalities (for transactions higher than a pre-established amount) as vulnerable activities: (1) the sale of tickets, chips or any other kind of similar receipt for the practice of betting games, contests or lotteries; and (2) the delivery or payment of prizes. f to refrain from receiving payments in cash for the purchase of tickets that allow participation in betting games, contests or lotteries, as well as the delivery or payment of prizes (for transactions higher than a pre-established amount). a Income tax: for tax purposes, such as Mexican corporations, Mexican residents must pay an income tax called ‘profit tax’ at a rate of approximately 29 per cent. This is applied to their entire income (regardless of its origin) minus authorised deductions (expenses). Casinos shall also pay an income tax called ‘tax on production and services’. b Licence fees: a licence fee has to be paid by permit holders to the Ministry of the Interior in an amount of 1 per cent or 2 per cent of their income, depending on the origin of the bet and their permit. Generally, the fee is 2 per cent on horse and greyhound race tracks, and 1 per cent on national and international sporting events. c Local and state taxes: some Mexican states impose additional taxes to be paid by casino users (like value added tax). The tax applies to the amount of the prizes received by the users or for each machine installed. e advertising and publicity should include messages that invite people to play responsibly and with the main purpose of entertainment, fun and recreation. Owing to the relevance and importance of the case of drawing of numbers and symbols through machines (slot machines), a brief summary of this matter is below. On 18 January 2016, the plenary session of the Mexico’s Supreme Court of Justice supported the use of slot machines in casinos, considering them to be lawful as lottery games and not as games of chance or skill. By unanimous vote, the judges validated five articles of the Regulations (among them being Articles 2, 91 Section VI, 137 bis, 137 ter and 137 quater), considering that the president, upon amending such articles, did not exceed the provisions in the applicable law. a The drawing of numbers and symbols through machines share the essential characteristic of all other lotteries regulated by the Regulations. In other words, the result is determined by chance; they are not games of skills or dexterity, but are simple lotteries such as those provided by the law. b The Federal Law of Gambling and Raffles does not establish a definition of games and raffles, therefore it cannot be said that the regulations contravene the law on this point. c The President exercised his regulatory power in order to regulate the content of Article 2, Section II of the Federal Law of Gambling and Raffles, by establishing the rules of operation of the ‘drawing of numbers and symbols through machines’. If the Federal Law of Gambling and Raffles admits the possibility of the existence of raffles without any restriction whatsoever; then, it is clear that ‘drawing of numbers and symbols through machines’, being a species of such genus, is permitted by the law itself. The new bill, which is waiting to be approved by the Senate, contains some innovations, such as the fact that permit holders may only be able to operate their game online (in opposition to authorised operators). Therefore, there would not be any possibility of supporting or delegating such activities or transactions to third parties. v operators shall not be allowed for online gambling. For this reason the concessionaire shall directly operate and exploit it. The Secretary of the Interior has urged the Senate to approve the new bill. However, other reforms have taken priority in the legislative chamber. 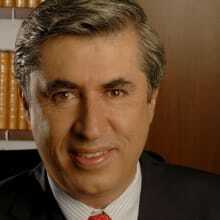 1 Carlos F Portilla Robertson is a managing partner at Portilla, Ruy-Díaz y Aguilar, SC. 2 Jai alai is a sport involving a ball bounced off a walled space (fronton) by accelerating it to high speeds with a hand-held device. The game is called zesta-punta in Basque.